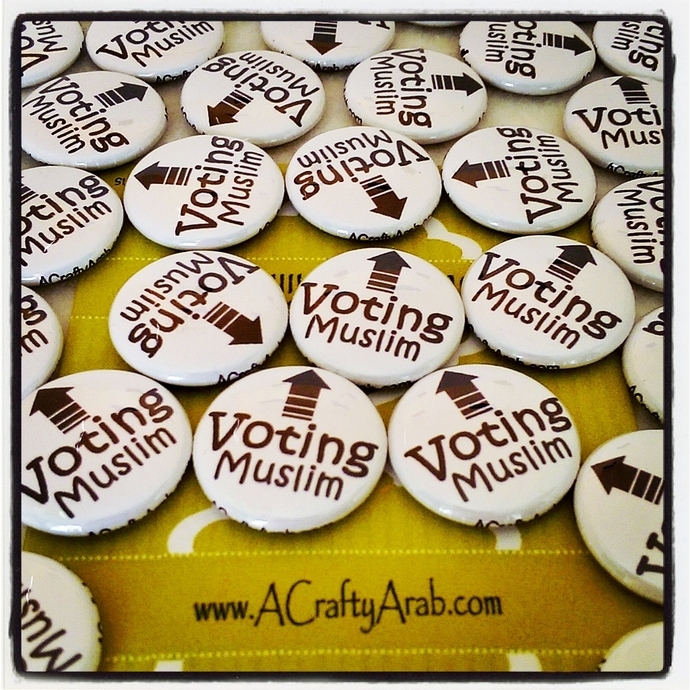 Voting Muslim pinback button. 1 inch in size, quarter shown for scale. Six pins are in a set. 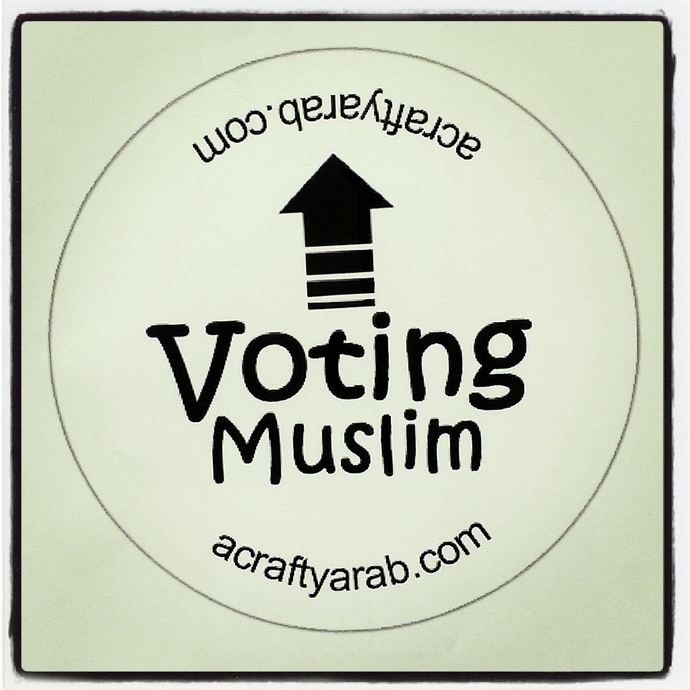 100% of the profits will go to the Bernie Sanders campaign.